First off, I want to reiterate that the gym isn’t a fashion show. The super flashy neon shorts or whatever weird stuff you are wearing should be immediately discarded. Unless of course they are actually the most comfortable thing you’ve ever lifted or ran or did any form of exercise in. Then feel free to keep them. When going after gym shorts I generally use the KISS method and keep it simple. Black is the go to color for any gym gear I buy and usually I have some key criteria I look for in any new purchase. Let’s talk about my main considerations when buying men’s workout shorts. Cost is super important. You really have to understand fully what you are paying for. Are you paying for something that is high quality or are you just paying for a brand name? There are so many fitness brands in the world today that have broken into the market that you are no longer forced into buying the top brands’ gear for outrageous cost when there are other options just as comfortable. The biggest thing for me is understand the amount of fabric really used here. If a pair of shorts is marked up to be more expensive than a pair of pants, does that make sense? Obviously you need to compare apples to apples here so look at similar products and materials, but be aware of the overall pricing. I don’t know what you will think a reasonable range for shorts is, but if they are supposed to last a lifetime then I can usually justify spending $40-$50 on a good pair of shorts. However, these better meet the rest of the criteria below. These two things are extremely important for me when snagging a pair of shorts to lift in. Usually you need a full range of motion for squats, lunges, really any dynamic movement. A lot of guys I see running around in the gym are wearing stuff that hits down around their knees. With a good deep squat focusing on proper form you will realize that these types of shorts are generally going to get caught up on your thighs and it’s extremely obnoxious when your shorts can negatively impact your form. Because of this phenomenon I highly suggest going after something with a shorter inseam. Once again, it doesn’t matter that your shorts are pretty short overall. The gym isn’t a fashion show and we are going for mobility here not look. If you really have an issue just wear compression shorts underneath so that you can cover your dainty quads. While you will be moving quite a bit and mobility is key for gym shorts, you want to be going after what is comfortable for you also. 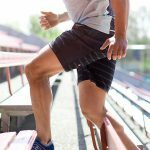 If you really focus on types of material, as well as moisture wicking technology that keeps you from overly sweating then you will realize your options become sort of limited as to what the best shorts on the market really are. A lot of shorts will have an inner liner…You can go for this or not. Sometimes it helps beat your standard cotton underwear that generally trap heat and that’s no bueno for comfort but personally I don’t like the way they feel. I usually opt out here. When it comes to shorts you have to understand you want to be able to use them for everything. This includes cardio indoors, outdoors, beach workouts, whatever it is you are doing. 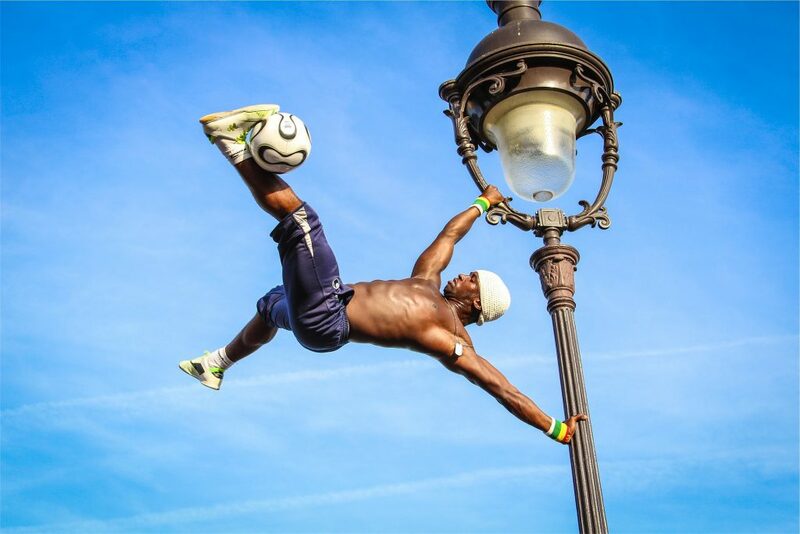 I use my shorts for everything from heavy lifting to beach burpees, sprints, and sit-ups. They are going to get dirty and probably beat up so you need something that will withstand the test of time. If you get the proper material you won’t have to worry about them wearing out or ripping after two or three washes. This is nice when you hit the squat rack and don’t split your shorts at the seam. I personally have been working out in my Under Armour mesh shorts for as long as I can remember. I have absolutely zero complaints about these. The cost is perfect ranging from $15-$30. They are breathable so you don’t have to worry about excessive sweating. In addition, the inseam is manageable meaning that you have full range of motion. These shorts have lasted around 2 years thus far and they don’t show any signs of wear considering they are pretty elastic overall. They aren’t too baggy either so they don’t catch when moving at a fast pace. My secondary recommendation would most definitely be a solid pair of Lululemon shorts. Yeah guys, I know this seems like a female brand, but it turns out it’s not. I used to have a thing against Lulu but recently I caved and got myself a pair of their moisture wicking fabric shorts. These things are like heaven. The primary reason I would push you away from Lululemon is the cost. These can easily range from $50-$80 on a regular day. Hold out for Black Friday or something? At any rate, I highly suggest them otherwise. If you truly want to go old school Arnold status and you are comfortable with a pretty short pair of shorts just snag a pair of any basic rugby shorts. They are obviously durable as people are getting absolutely demolished in these all day long. In addition, you know the mobility is never going to be an issue as they are pretty short and these guys are running nonstop. 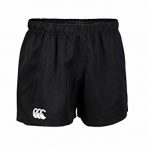 Go with some basic black ones, materials are all great and breathable as you would expect from rugby shorts. In addition, they are probably the cheapest overall option coming in at around $20. That’s not bad these days. Whatever you choose, just stick to the requirements I talked about above and you’ll be ready to rock. Also, if you have a different favorite for lifting or general exercise drop me a comment and let’s chat about it! Thanks for the information. I do find that under amor actually has some of the very best workout clothing line around. Their shorts are superb! I agree, that’s why I wear them religiously. I agree with you on the cost thing. I often find shorts going up to $50 and am “WTH”. And the thing is, these things won’t last for 3 years as you would expect (going by the high cost). On the lululemon shorts. I am still skeptical about buying them because I still have this ” feminine thing” hitting my mind when the though of purchasing them comes to mind. I want to try them out but I have to overcome this perspective first. How do I do it? I actually have had friends that have grabbed a pair secretly and they love em. I think I had really the same feminine mentality for a long time but recently I have to say I’m swayed a bit. Quality products can’t really be faked. I always thought people were paying for the name, but that’s not actually true now that I’ve invested in some also. Just go for it man! Get one pair and see what you think, if you hate em, never do it again. Yeah, let me test that out. Although I still get goose bumps when I’m about to click on the “checkout” button. I’ll try to get a hold of myself. Hahah the goosebumps are scary man. We have similar shorts philosophies! I can’t stand the neon colored fashion show shorts… gotta stick with the basics and go black, possibly gray. Also I can’t stand the interior liners, get some compression underwear and call it good! I have always been a Nike man, but perhaps when mine wear out I’ll check out those Under Armour shorts. Thanks for the recommendations! Totally agree haha. Gray works as well, can’t go wrong. I used to be really pro Nike, still am with some footwear selections but overall got to say I really dig my Under Armour gear. Always fits just right for my body type too so maybe that’s part of it!